Large version of this aurora can be found here. One man's aurora is another's something else entirely. It rose from the bottom of the sea, finding energy in the currents, the tidal water forming a long, glassy arm. When it reached the surface, waves balanced and curled on its peak and a knuckled fist took shape. The arm pulled back into the sea; when it rose again, its mighty fist pummeled the sky with a deafening roar that seemed to come from the air and the earth as well as the water. It tore a deep hole in the sky, from which a brilliant display of light and color flowed. The two beings tumbled through the hole. 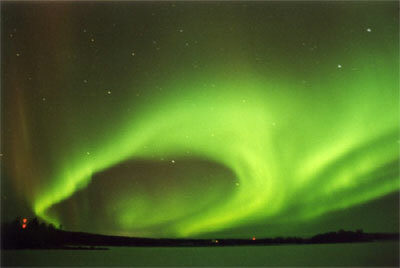 So I'd just gotten back, dead tired, when I see this green light filling the sky. And I figure the kid might need help, right? I don't like him, but he's not gonna get hurt on my watch. So I grab my bow and go. Diana meets me outside and we bust in, and Kyle's in the living room watching some video. And he's like, in flagrante delicto, if you catch my meaning. Diana just starts laughing hyserically at him, but I was seriously pissed. Stupid punk kid. At least Hal always remembered to take the damn ring off first. The seid broke, thought Old Järnsida. He coughed, spitting blood. The roaring in his head settled down, and awestruck by the lights in the sky. Could no one else see them? Fighting had subsided, and he could feel hands grabbing him. Leaning on his broken sword, he rose to his knees. His sons, Refil and Erik, were looking at him with pained tears on their faces. Laying him gently on his back, the howling of winter wolves filled his ears. "The Einherjar wait," sang Skuld as she clasped him by the hand. Pointing her spear skyward, they leapt towards home. He wasn't really a doctor, even when he was practicing dentistry. But part of being in a band is getting to choose your own name. And it wasn't the best band, really. The drummer had energy (and hair) to spare. The saxiphonist could barely remember who he was, let alone what he was playing. The guitarist was okay, and the lead singer looked nice enough you could forgive her accent. But the doctor; he could make the keyboard do magic. He could play down polar atmospheric phenomena as his private laser light show, even down in Texas. There was a dull crump from the laboratory. Doors burst open, scientists pelting madly in all directions. 'Nowhere to run,' thought Brighton. He dropped the cutting laser into a wastebin and sauntered through the compound, not caring who noticed. In seventy seconds it would hardly matter who thought what at the Rockwell Fusion Research Labratory. He found a niche, settled in to watch as the lab building folded in on itself. Decades of research felled by a tiny flaw. In the millisecond before he died, Brighton noted the green hue of the plasma bubble. 'The color of money,' he thought. Read more from Stacy's FutureStories.R&D.